From most video services Star Wars: The Force Awakens costs $19.99 for the HD version. But, the cheapest places to buy ‘The Force Awakens’ are from Amazon Video and Walmart’s Vudu where you can get the Digital HD copy for $17.99. (Vudu offers a choice between HD (720p) and HDX (1080p). Who’s charging more than the average? 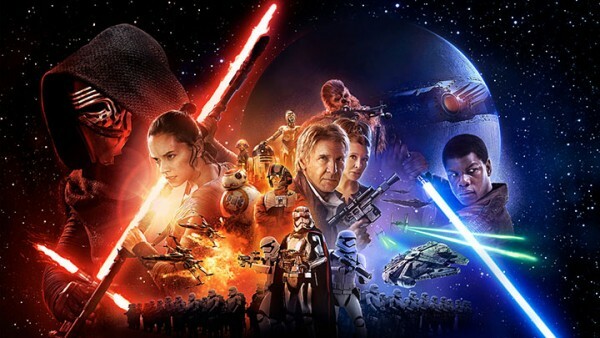 Verizon is selling SWTFA for $21.99 (HD) and Comcast Xfinity for $20.99 (HD – TV Only). The SD version is not available until April 5th, although Verizon does offer the lower quality copy for $18.49 (SD). The Digital HD purchase of Star Wars: The Force Awakens includes bonus material with many sellers including Apple iTunes, Google Play, Xbox Video, and Vudu among others. This is the most widespread offering of bonus content in a digital release that we’ve seen so far.